Wifi Family: Does your family connect with emotional bonds between them? 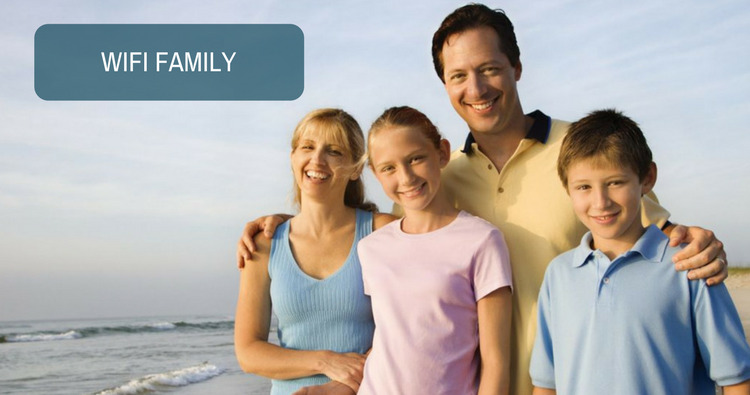 iCliniq › Ask a doctor online › Health Articles › Interpersonal Relations › Wifi Family: Does your family connect with emotional bonds between them? Written by Dr. Arooj Najmussaqib and medically reviewed by iCliniq medical review team. In the next home, the boy sitting in his room chatting with his friends got message as, “hey, my mobile charger isn’t working… please drop yours before leaving home!! ”. Then some other day, mother asks her daughter to give a miss call to his brother or father to come down and have supper! Can Quetiapine make a person drowsy? Am I at risk of having a baby with trisomy? And there are a lot more examples we can find in our society, in fact at the very next door near you or may be in our own home this expression less system of communication is running. Necessity is the mother of invention, is a great saying. And we have successfully developed tools that upgraded our life styles and assist us in every way. Today, I would talk about the “WIRELESS system” that is becoming another essential part of our families after television and mobiles. As several networking systems can be connected through wireless internet connection, becoming popular these days, members of the families are also having such wireless connection between them. Unfortunately, such connections lack emotional part and belongingness within them and become more technological than emotional. Some decades before, when these inventions were not so much popular and were not accessible to every child at home, people used to spend time together, they take their meals together and got a time to share their routines, exchange their views, update themselves about what is going around and this activity also developed emotional bonds between them. Conversely, as mentioned in above examples, we prefer to use wifi system of communication rather than facing one another. Some people claims that it help them in communication as they are more easily share their views in written communication via texts/ sms. May be they are right, but I wonder if such system without experiencing and sharing emotions would make emotional bonds between relations? Wifi system is also linked with hacking. Hackers used to attack the wireless system and steal it. If we apply this dimension in our wifi family system, then what will happen? Surely, people hack members of our family easily due to lack of communication and emotional bond within the family system. An outsider, may be some friend, attacks any of family member’s life and take him/her into the new world. Different psychological mental health problems including addiction, depression, or some psychotic disorder have common factor of lack of social support, emotional bonding, and disturbed relationships etc. So, beware, and try to turn such wifi system off in your family and use your quality time with family members as antivirus system and protect and save your loved ones from hackers in the society. Do you have a question on Interpersonal Relations or Mental Health Problems? Is a desire to have a mental illness a disorder by itself? I am a teenager and I feel my parents hate me. What should I do? My mom's behavior changes every single minute. How to resolve this?